What do you tell a cabbie, how do you use one of Russia’s minivan taxis and how far does a “one-ride” ticket in the metro take you? 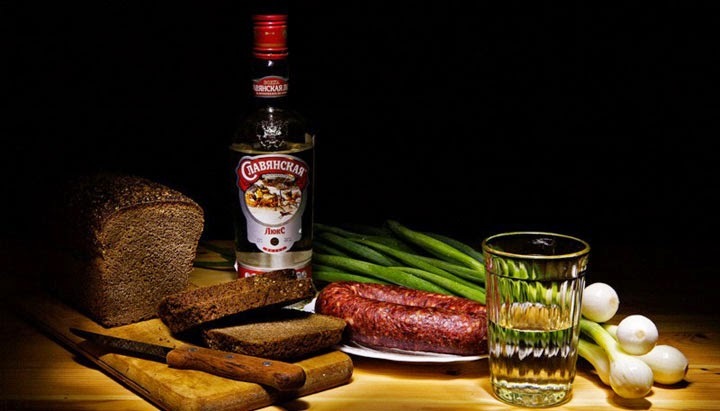 With these great tips, we’ll make sure you never get lost in Russia! Today, we’re talking all about public transport and getting around in Russia: Buying tickets and navigating the metro...riding the bus, tram and trolley...using Russia’s minivan taxis: how to get on, pay your fare, and get out at the right stop...hailing a taxi and making sure you don’t get scammed, plus asking for directions, whether you’re on public transport or trying to find a friend’s house. The метро (subway) is the simplest form of transport for a tourist. The entrance to the метро is marked with the letter “M”. 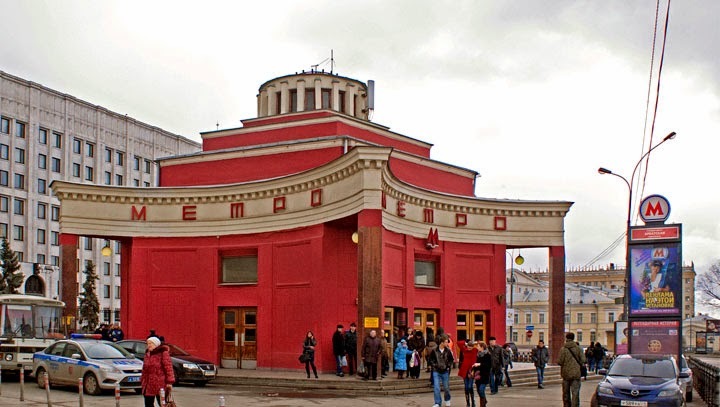 Before going inside the метро, you need to purchase a билет (ticket). In order to buy your билет, tell the cashier: “На одну поездку” (for one trip). 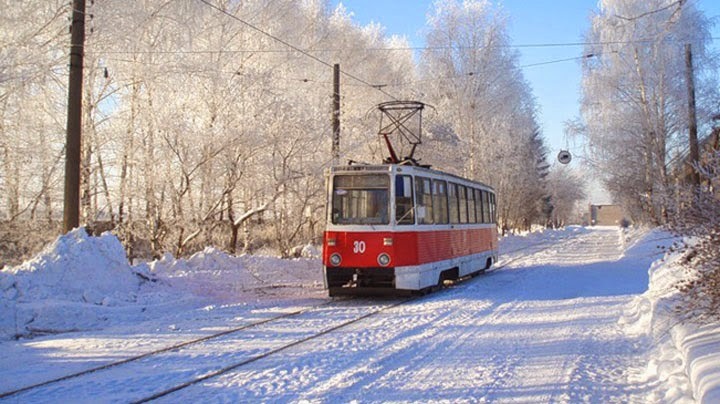 Билет на одну поездку (a ticket for one trip) gives you one-time access to the метро and as many train rides as you need to reach your destination. Author’s remark: "When I was a kid, my biggest fear in the metro wasn't the tunnels, escalators or crowds of people, but the turnstiles! Why? Well, the turnstiles used to always be open and would only close when you tried to walk through without paying. But I was always afraid they would malfunction? I’d clench my teeth every time I walked through, waiting for the bars to close on me! It’s too bad those turnstiles are nearly all gone…:)"
Only big cities have метро, but almost every city has an автобус (bus), трамвай (tram) and троллейбус (trolleybus). You need to know the номер (bus number) and the name of your остановка (stop) beforehand. The driver usually announces: Следующая остановка «Бизнес-центр» (the next stop is “Business Centre”). All the directions and notifications on public transport are in Russian only. 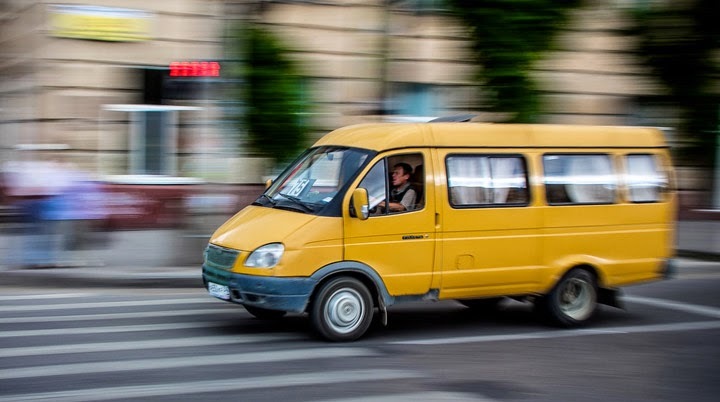 Маршрутка (minivan taxis with a fixed route) are both the most convenient and most confusing form of transportation. 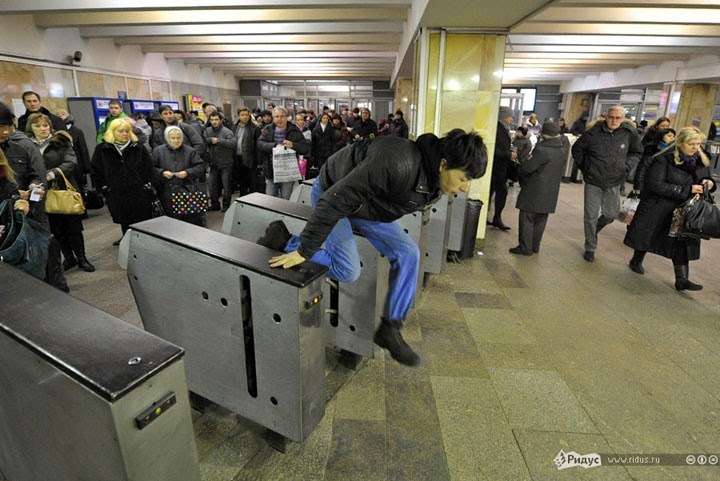 A маршрутка will only stop if you motion for it, even if you are waiting at a bus stop. It will, however, let you get on almost anywhere. Take a seat, then hand your money to the пассажир (passenger) seated in front of you. He or she will pass it forward until it reaches the driver. If you need change, it will be passed back the same way. Inside the маршрутка, there are no announcements or maps. In order to get off at your остановка (stop), you need to yell loudly and in time: Остановите, пожалуйста! (stop, please!) or just: Остановите! (stop!). You need to yell in Russian, because there is very little chance that the driver of the маршрутка understands any English. 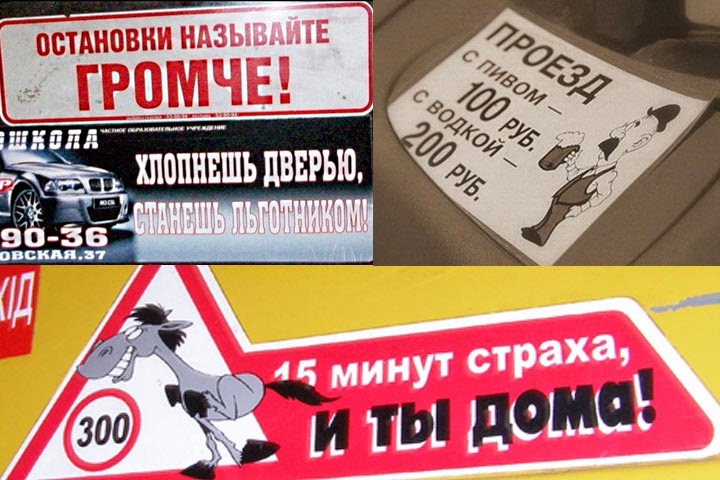 You can find a lot of funny signs on the internet that маршрутка drivers have posted in their minivans, such as “We ask that you use bananas with peels and beer with cans inside the vehicle”. 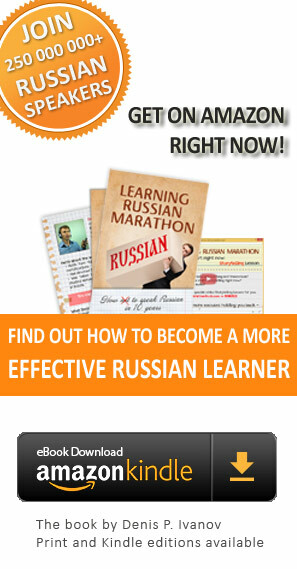 It’s a good way to practice real Russian. Simple jokes from simple people. Of course, being a маршрутка driver is really tough work. Don’t be afraid to ask directions from strangers at a stop or on public transport. Start with Извините (excuse me). For example: Извините… как доехать до «Бизнес-центра? (Excuse me… How do I get to the “Business Centre”?). Of course, you can rely on the такси (taxi). 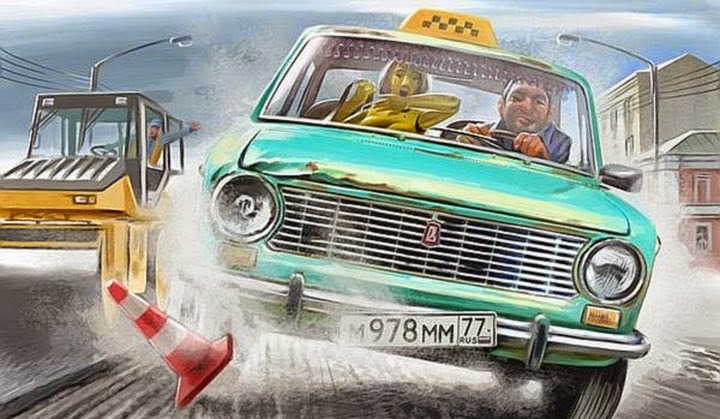 You can call up a такси by phone, or you can just go to the road and raise your arm: cars from licensed taxi companies and private individuals who want to make some extra money will both stop for you. If the taxi does not have a meter, you need to negotiate the price before getting in. Tell the driver: На вокзал. Сколько будет стоить? (To the station. How much will it cost?). Make sure that you have understood the response. Don’t be pressured by especially persistent unofficial taxi drivers. 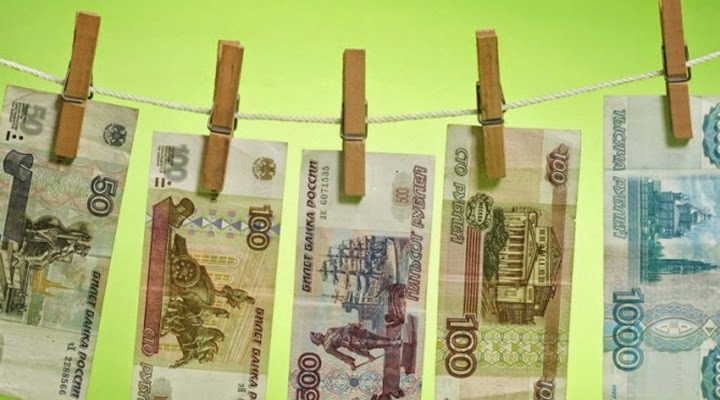 Promises to Дешево довезу (Take you for cheap) or Договоримся (Agree on a price later) should make you very cautious. You could end up with poor service or get stuck with a real hustler. It’s not too complicated if you decide to walk. Cities don't have any districts where it would be dangerous to go in the daytime, but be careful after dark. Most of the signs in the streets are in Russian. Did you get lost? Ask passers-by: Извините! Как пройти к метро? (Excuse me! How to get to the subway?). 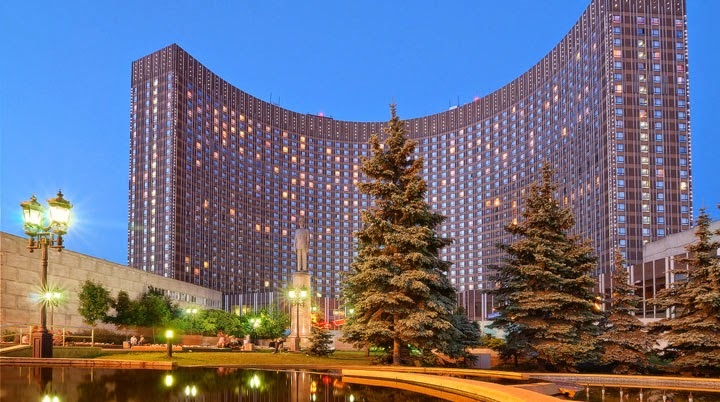 If you know the address, ask in the following way: Как пройти на улицу Ленина, дом десять? (How do I get to Lenin Street, house 10?). Notice that Russians say улица (the street) first, and then дом (the house number). Sometimes you have to ask for directions. Be aware, however, that it can be tough to get a good answer, especially in Moscow. There are literally millions of people that come for work in Moscow and know nothing about the city. They may have spent less time in Moscow than you. On the other hand, even if they don’t know the way, you’ll get to hear some different Russian accents. Make sure you’re ready for their answers: направо (to the right), налево (to the left), прямо (straight) and the most common response – я не знаю (I don’t know). 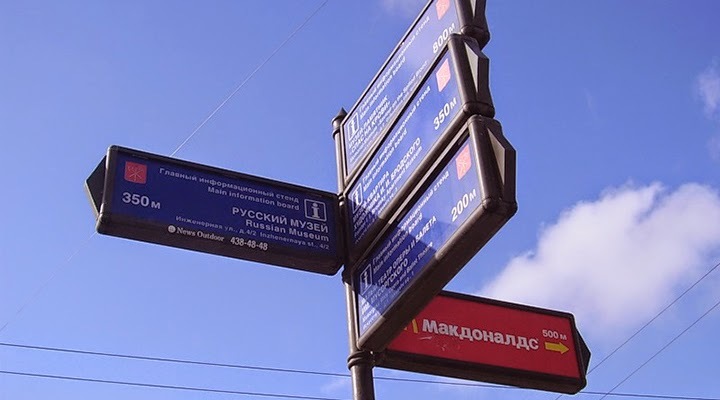 So, what do we know now about how to navigate a Russian city? First of all, when Russian words are written with Latin letters, it’s not natural. Imagine writing English words with Arabic script or Spanish with hieroglyphs. Second, it encourages you to make errors in pronunciation. Learn just 33 letters and you’ll be able to read, which is very handy when trying to understand station names or street signs. You’ll also pick out a lot of English cognates (for example: аэропорт (airport), табак (tobacco), такси (taxi)). Our advice is to forget about transliterations! They’re a waste of time. 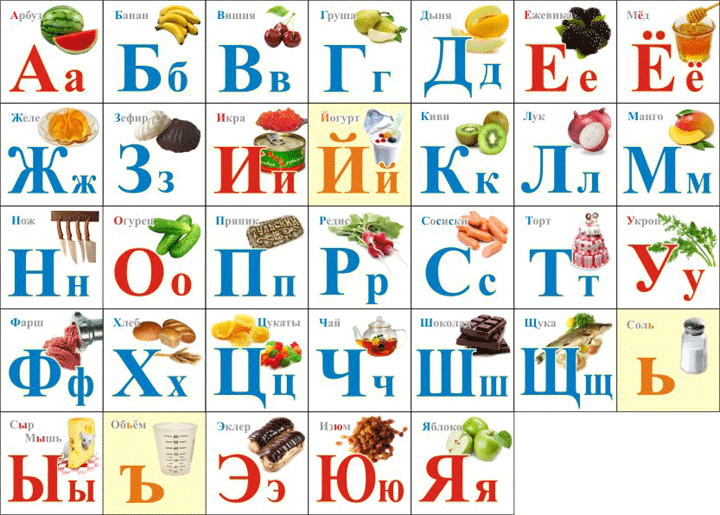 Russian does have a lot of complications, but the alphabet is not one of them. Thanks for reading! Stay on the lookout for more helpful info. Co-Founder of "Learning To Know"